A must have items to keep on hand when ever performing your test prints, as a simple pinhole, spot or problem is easily overcome by applying Correction Fluid to the back of the screen. Pinholes, pictured left, can be caused by microscopic pieces of carbon in the artwork, dust and many other factors picked up by the system when imaging. Pinholes can range from a tiny speck to a 3mm wide dot - generally picked up on your first test print. Pinholes are easily removed from your screen before printing using Correction Fluid. 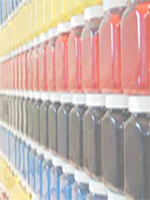 Correction Fluid can be used at any stage - before test printing, during the test print or at any time during your print job. 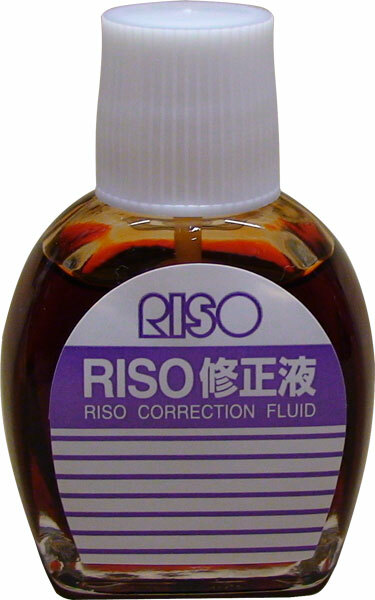 Correction Fluid reseals the mesh and is used on small areas using the brush tip of the applicator. For larger marks and solid areas outside the designs area use Screen Masking Tape. Unscrew the lid and use the brush applicator attached to the lid. Carefully brush Correction Fluid over the required area using the applicator. Perform another test print to check the screen to ensure the pin holes were blocked, reapply as required. Use caution not to place Correction Fluid over design area or the screen will block and your design will not print, as illustrated right. 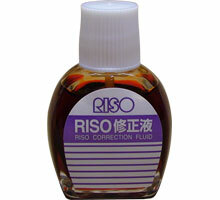 Correction Fluid does not require cleaning as it should not be removed once applied. View large image . .
What temperature do I set the press to? Do I need to add water and/or use the steam option? Why is steam coming from the design? How long do I set for - when do I know the prints are set? What happens if I don't set the inks for long enough? Q) What temperature do I set the press to? You must adjust the press to suite the type of fabric as overheating may cause burning of the fabric. If unsure it's always best to start at a lower setting and test the first garment, you can always increase the setting slightly after you begin if the first prints are not heating the garment. Never overheat the garment as this will cause burning to the fabric - it's better to set for 15-20 seconds with a short 5 second break and repeat a few times than try to set for 1 minute continuously. Q) Do I need to add water and/or use the steam option? No there is no need to use the steam option, the press will turn on and work normally without water. As you are trying to eliminate the water based medium from the ink and dry the print out, steam will make this process very difficult. Q) Why is steam coming from the design? This is the water based medium heating up and coming out of the design as steam - this is normal. Steam starts to appear once the design comes up to temperature, then starts to slow and disappear half way through the setting process. If a print is completely dry (more than 5 days old) no steam may appear at all and will require setting for 30-40 seconds only. If a print is wet and no stream is present you will need to increase the temperature of the press. Q) How long do I set for - when do I know the prints are set? How long is a piece of string? Generally speaking, the first 20 seconds of the setting process brings the ink and garment up to temperature, the next 20 seconds eliminates the water based medium (steam rises), the next 20 seconds starts the pigment activation and setting of the ink. - Large or solid designs will require a longer setting period as there is more volume of ink to activate and set. A minimum of 1 minute is normally required for almost any print, increasing up to 3 minutes for wet prints. As the actual timing varies on the design size, how long since it's been printed and the volume of ink in the design. A simple rule to start with is that when steam stops rising you are half way through the setting process. e.g. If steam stops rising after 40 seconds (2 presses), your setting time is 1 minute 20 seconds (4 presses). Q) What happens if I don't set the inks for long enough?